What does Nadirah nadira (Muslim Arabic Name) mean? 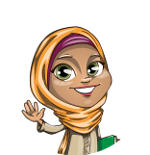 The name Nadirah nadira (Arabic writing : ) is a Muslim girls Names. The meaning of name Nadirah nadira is " Rare, precious "
Nadeemah نديمه A companion, friend. Nadi نادي Moist, damp, tender, delicate.